“Debt-to-income ratio” is a phrase you’ll run into often once you decide to buy a house. All lenders seriously consider a borrower’s debt and income in considering an application. However, not every borrower has a perfect debt to income ratio, and some ratios are down-right discouraging. But if you don’t have a good debt to income ratio, don’t give up hope. You have several options available, both before you approach a lender and while working together to ensure your loan goes through. 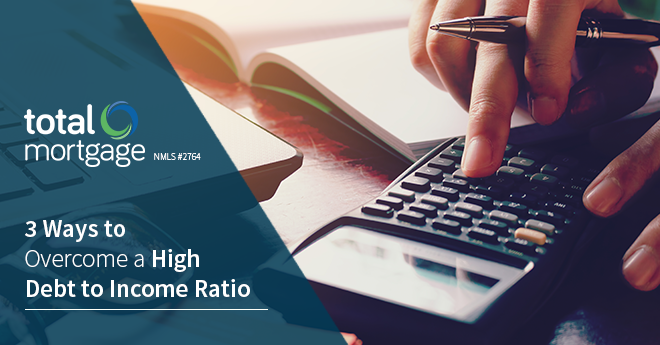 So consider these options if your debt-to-income ratio is too high to qualify naturally for a loan. Unless you have an urgent need to purchase a home, you can invest a decent amount of time in reducing your debt ratio in the months leading up to a purchase. In addition to saving for a down payment, use this time to pay off any credit cards, student loans, and car payments currently in your name. Ideally, your debt should be less than 36 percent of your income by the time you visit a lender to ask for help in securing a home loan. While this may not be a viable option for someone with a high amount of debt, you can boost your chances by putting up a large down payment. The less you have to borrow, the less strict the requirements, increasing your chances of success. A large down payment shows the lender that you’ve invested in the property, as well, reducing the risk that you’ll abandon the property before the mortgage is paid in full. In an effort to encourage new renters to convert to buyers, several government programs exist to help. Federal Housing Administration (FHA) loans allow borrowers to get into a home with a high debt to income ratio, allowing for a slightly higher mortgage payment amount than the buyer might normally qualify to pay. Compare FHA vs a traditional conventional loan with our handy guide. Veterans, meanwhile, may be able to get assistance through a Veterans Administration (VA) loan, which allows the total amount of housing expense plus recurring debt to be as much as 41 percent. For homeowners interested in refinancing, the government offers help through the Home Affordable Refinance Program (HARP). Before seeking this type of loan, borrowers should gather as much information as possible to help prove they’re working hard to pay down all debts. You’ll also need to have been on time for all of your payments for at least the past year and have credit in good standing. HARP primarily targets homeowners who have a small amount of equity in their existing homes or who currently owe more than their home is worth. Borrowers may have to check with several lenders to find one who offers HARP as a refinancing option. For those with high debt-to-income ratios, landing a home loan may be challenging, but it’s far from impossible. By lowering debt and working directly with lenders to learn about all the options available, borrowers can get into a home and begin to work on paying off all of those debts to make the next purchase easier. Total Mortgage has some of the lowest mortgage rates in the country. Apply today and find out how much you could be saving on time and money. Eric Khan is a Senior Mortgage Banker licensed in 23 states. 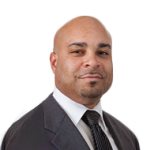 Eric has been in the mortgage industry for over 10 years, and can be contacted by phone at 203-783-4593 or by email at [email protected] NMLS# 184348. Either way, working hard on paying debt is important to financial stability. All interest you pay is money that may as well have disappeared. Thanks for the tips!